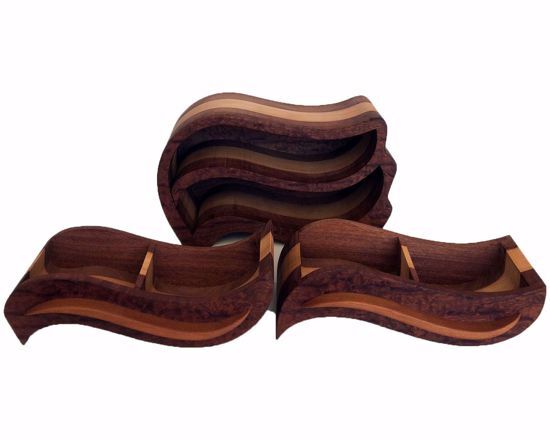 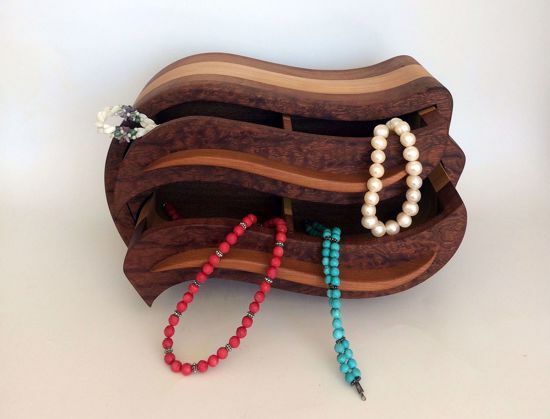 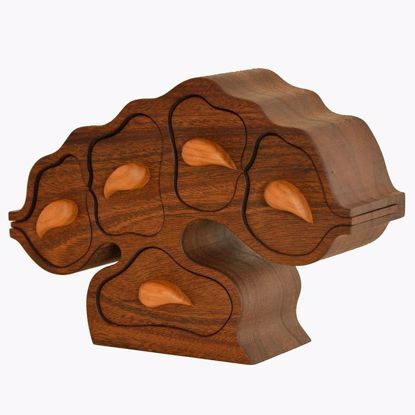 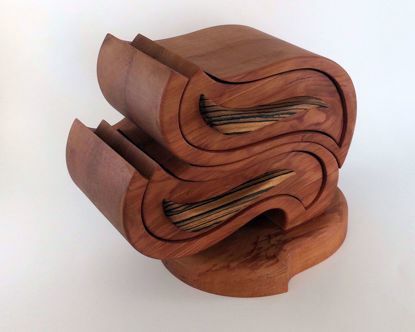 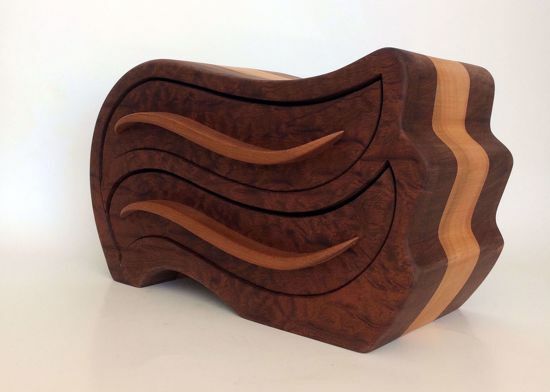 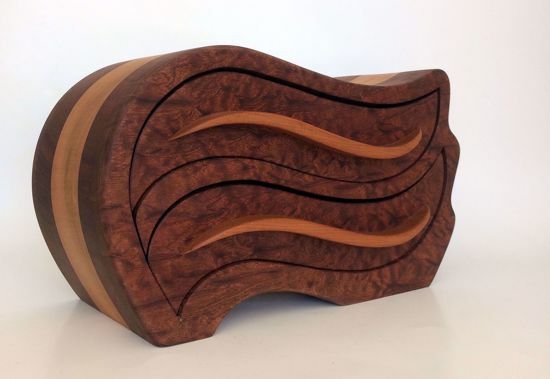 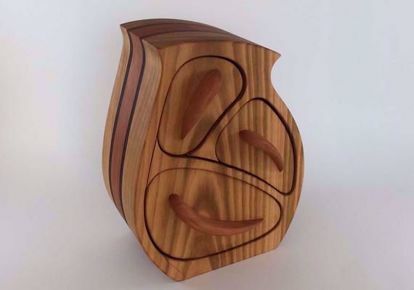 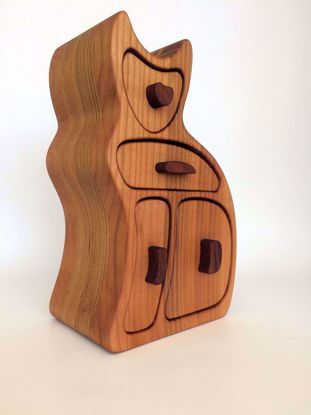 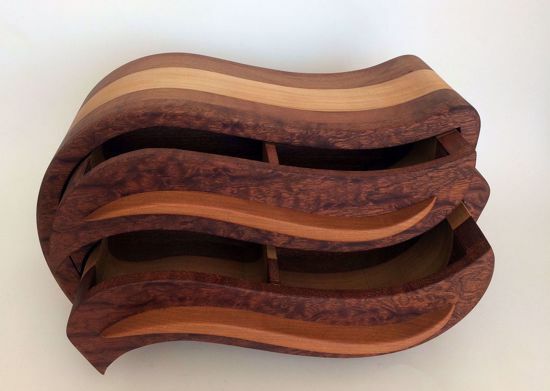 This Bandsaw Jewelry Box is made of Cherry, Pomelo, and Sapelli. 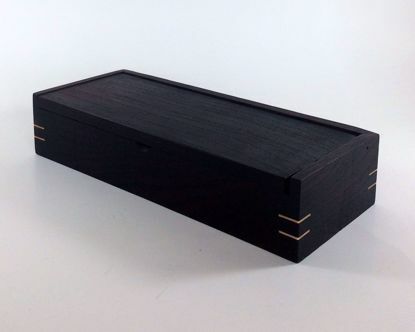 The box has two drawers. 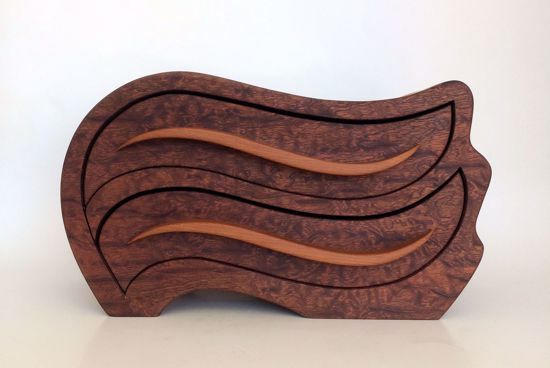 There is no dye and stain involved. 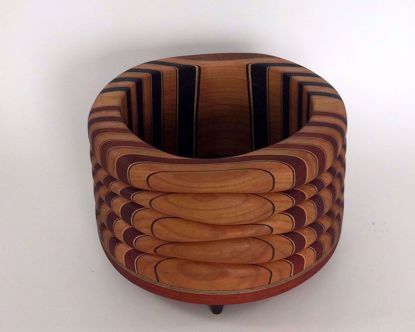 You see the natural colors of wood. 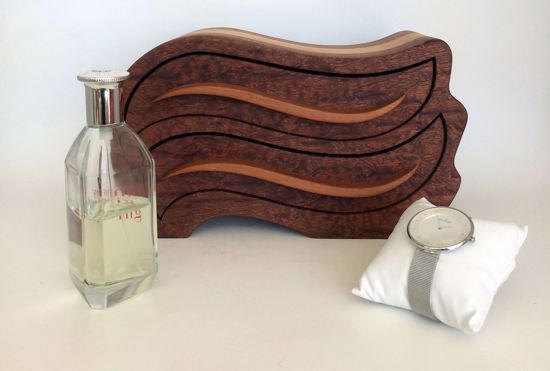 Wood has been finished with natural wax.